I was a relative unknown coming onto my college team. A recruit with national standing and some Junior World Cup experience under my belt, sure. But I wasn’t like a few of my fellow first years, who had been fencing since they were 8, had made several Junior World Championships, and were making podium placements on the senior circuit. Our team’s Wall of Fame included national champions and Olympians galore (one of my classmates would go on to win a silver medal in Beijing.) So to be singled out as the next leader of this historic pack was more than an honor. For most of my life, I’ve been pushed into leadership positions. Like in the 8th grade when we had to set-up and run our own businesses, I was unanimously voted CEO. I assumed things like this happened to me because I was always the one most likely to do most of the work or I was the one cheering the loudest. I guess that translated into being the one that cared the most, which was true. I care about the things I do, a lot. When my boss suggested I apply to participate in a 10 month leadership development course, I was both flattered and skeptical. It felt a lot like when Captain Kim came up to me that day at Harvard — someone I had truck-loads of respect for thought I was worth investing in, worth mentoring into a leader of something special. At the same time, I was doubtful a course about leadership was for me. I lead a lot of things, can’t I just learn more from you, Boss? I need to know more about fundraising. How do I ask people for money for stuff? When she told me that my organization would pay if I were accepted, I figured it was an opportunity not to be missed, and filled out my application. Going into the course, I saw leadership as a set of qualities you either had or didn’t, qualities that could be nurtured, but not learned. When someone was put into a leadership role, myself included, I figured it was because he/she demonstrated a few more of those qualities, and perhaps was a higher performer than the others in a given set of individuals. In that view, Leaders embody a character-type and are Leaders because they can deliver results. I didn’t necessarily see leadership as a set of skills that could be taught or mastered. So far, this course has taught me otherwise. Over the years, I had created awards for leadership and been the recipient of awards for leadership. And yet, acknowledging my many shortcomings, I know I have a lot to learn. 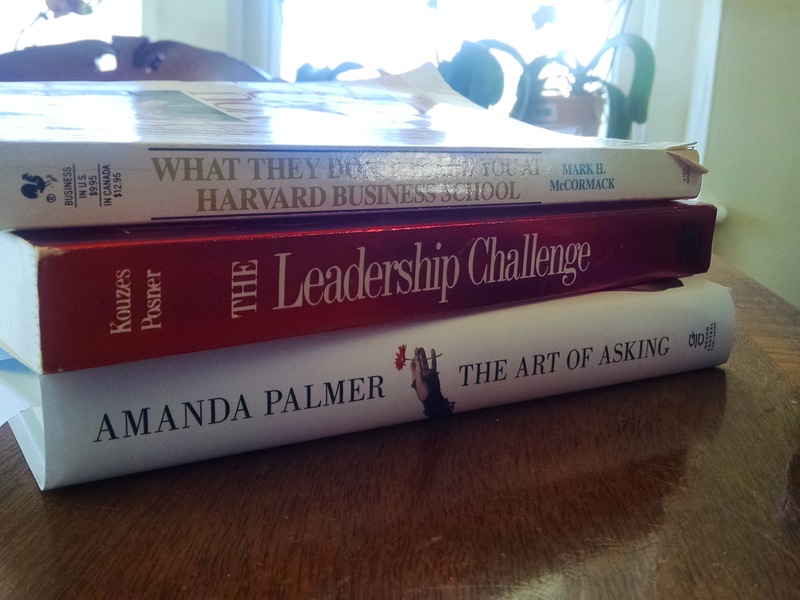 Starting with finding answers to a set of simple questions: What really is Leadership? And what is GOOD leadership? The course started with an inward look. What made me get up in the morning? What was my mission in life? My vision? Was I living my mission and my vision — in my personal life, in my professional life? I was bombarded with questions about who I was, where I had been, where was I going. As a goal oriented person who was good at staying the course, I’m not sure I wholly appreciated this line of introspection and contemplation. I was kinda living my dream. What gives!?! What did this have to do with being a Chief Curator or an Executive Director? Why are you trying to shake my foundation. Sometimes you need a little shaking to test the strength of your foundation. But the fog began to lift. To lead well, you need to BE your goal. To BE your goal, you need to know what it is and why you’ve set it. People won’t sign-up to follow you if you’re not genuinely invested in where you’re going. I learned that Leadership is fundamentally grounded in relationships — with individuals as well as with groups/teams. We all need some help in learning how to manage relationships. Managing relationships is definitely a skill, a steamer-trunk-sized set of skills. The course, which still has 2 sessions to go, proved revealing on many levels. It forced me to turn an eye to the relationships in my life. I came to value particular friendships even more, and reassign different position to others. I considered how to better negotiate certain workplace partnerships… and continue to consider how to make these more productive, more balanced, more collaborative. It’s all a work in progress. Leadership is a process — a journey. Thankfully, there are many turns to explore in the road still ahead. Yes. I was hiding under my desk. Yes, Coworker. From you. Hiding under my desk. It’s something I frequently wanted to do, but never really considered as a viable option. If only they were sneaking into the nook to say hello! Since I’ve been working at this station, my fellow Nook Crook and I have been plotting ways to install some kind of alarm/security system. But we acknowledged even bells and sirens doesn’t solve our plight — we’re in a corner. If there’s someone coming we want to avoid, our only exit strategy is jumping out the window. I heard Cudjoe’s voice before he even stepped off the elevator. Cudjoe has a small gallery specializing in African art in my building. He’s a friend and we’ve successfully worked together on more than a few projects. But since the summer, I’ve been avoiding him. He wants to rent my gallery for his daughter’s wedding reception — an event I usually veto. I considered making an exception for him, but I had completely forgotten to take to our building people. His voice got closer. He was here to see our auction coordinator and drop off his donation for our annual gala. I knew if I stood up and headed for the bathroom, he’d see me. I looked around, searching for an escape route. 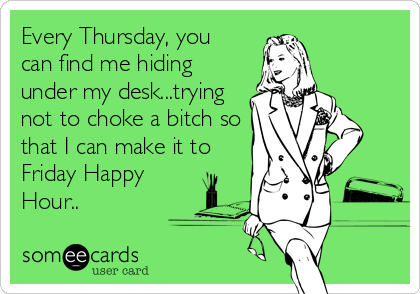 And then it hit me — I could hide under my desk. I took my phone and made a dive, nose first. I pulled my desk chair in close enough to obscure my wine-coloured pants. Then I began to rummage items together — if the off-chance someone saw me, I could at least pretend I was fixing or looking for something. Then I heard Ed’s voice. Ed is my organization’s counterpart in performance. He’d been trying to track me down for weeks to settle on a schedule for concerts that would happen in the gallery at the same time as the most important exhibition of my career, to date. I didn’t want to tell him how I felt about that without some back-up. So I decided I’d hang out under my desk a little longer. I amassed a neat pile of objects I could pull out to cover my tracks. About 5 minutes passed and finally, all was quiet. I made my move. “Trying to keep a low profile?” Ed’s question made me jump. He had seen me and decided to wait for me to emerge. Caught, and with no where left to hide, I made an appointment to meet him later. I confessed my desperate act to one of my superiors. She laughed and pulled up a recent This American Life segment called “The Leap,” which recounted the story of her uncle Bill — an NYC school bus driver who one day skipped his route and drove his school bus to Florida. He became something of a hero. She was trying to tell me she sympathized. “When Ed came up to meet you he made sure to pull out your chair and look under your desk,” Anna, my boss’s assistant told me. And with that, so ends my hiding place. I looked at the aluminium foil-clad box she just “installed” opposite the isolated robbed-from-the-web, float-framed photograph then back at her and then back at the “installation.” I’m all for minimalism, but if this represented her vision as an artist, her pending MFA was going to have a short life span on the art market. I felt like Michael Kors and this artist was about to throw someone under the bus to stand behind her artistic vision. Frankly, her fate as an artist didn’t concern me. The feedback from me and our curator that this (shoddily-thrown-together-sorry-excuse-for-a-commissioned) artwork was entirely different from her accepted proposal, and therefore, entirely unprofessional fell on deaf ears. I wanted to shake her — don’t you get it? We’re trying to help your career! Feeling a bit like Michael Kors on Project Runway, facing a designer blind to her own inexperience, I simultaneously admired her self-confidence and abhorred her arrogance. I vowed this was the last time I’d work with an MFA student. Emerging artist? No, thanks. Give me an established artist, I said to myself. Enter the Bravo Generation, where an individual’s vision reigns supreme and constructive criticism from seasoned vets is really not constructive, it’s a complete lack of understanding. Coming Soon? What? Your web-based business? Or adulthood? I wasn’t entirely sure that recent things I read, including an A.O. Scott film review, were being entirely fair when they call the early to mid 20-somethings complacent, or stunned in their growth to adulthood. What I’ve noticed is an attitude — a kind of supped-up sense of entitlement (I have a right to be who I want to be and wait, as long as it takes, for the exact job that will put me on the path to be who I want to be) — and the false senses that an internship = experience and that starting a website and calling yourself a “founder” legitimizes you. 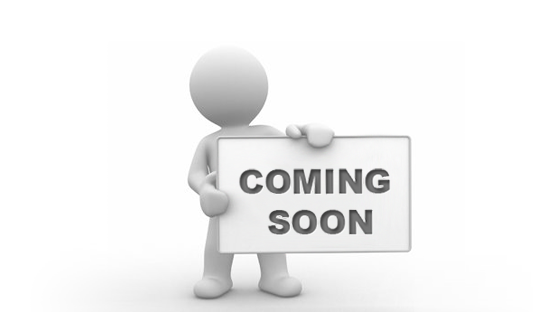 Sure, it’s the age of Entrepreneurship, but “coming soon” can only go on for so long. 1. Know what you don’t know: Internships are only introductions — they don’t make you experts. Learn to acknowledge the difference between exposure and experience — Earning a 2-year MA in museum studies is not the same thing as working in a museum for 2 years. Courses for a grade are not the same things as projects for your boss. 2. Be prepared to earn your stripes. No one owes you anything and you’re not proven until you’ve been tested. 3. There’s always someone better than you out there. Let that keep you motivated, but also keep you humble. Today, I woke up a year younger. Somewhere between 27 and 27.5, I decided I was 28. 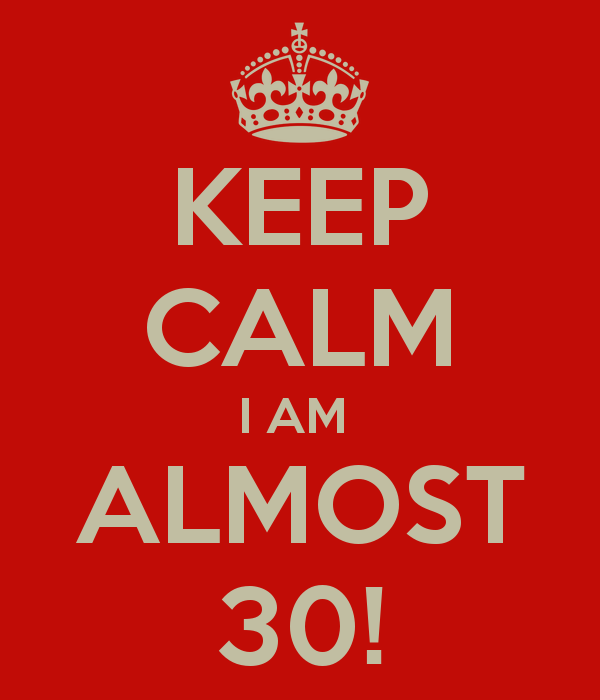 I don’t know how it happened, or why it happened, but for the last few months I’ve been referring to myself as “almost 30,” with a slight lean towards 28 when asked to be more specific. I was filling out a form for work when I suddenly remembered, I’ve got a few months to go. Where this age-identity crisis stems from is hard to pinpoint exactly. It might be because I have some friends in their late 30s who have embraced the identity of “almost 40” and it skewed my own sense of age. Or maybe it’s because I thought 28 made me sound more legit as a professional. I’m working with a curator, who despite being brilliant, lovely, and one of the most receptive and collaboration-minded people I’ve ever worked with, has a penchant for condescension when it comes to me and my age. I can’t say I’ve ever been as aware of being in my 20s as I am when I’m on a studio visit with her — her intention is not to be demeaning every time she references my relative youth in front of the artists, but all of a sudden I feel a need to assert that I’m not fresh out of college. 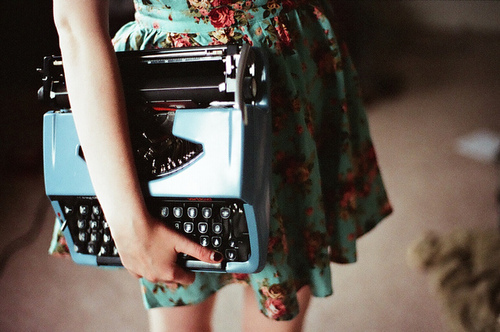 This is what I learned to type on — a typewriter. Ya, that’s right. I remember life BEFORE computers. I’ve even gone so far as to let my gray hair show. Hey, I learned to type on a typewriter, for Chrisssake. Then again, I’ve always been suffering from an age identity crisis. So declared my South African god father at my 17th birthday dinner. The entire table, including my parents, nodded adamantly in agreement. It’s true what they say: You don’t argue with the God Father. I had just graduated from high school and had barely had a chance to get my head around the fact that, in a few months, I’d be living in New York City and fully immersed in that phase of life called College. I was a kid, and I knew it. But the general consensus at the time, and one that perpetuates among my friends and family to this very day, is that I’m older than my age. I don’t really know what that means, but I do know that it took a long time for me to be able to relate to people “my own age” — I always preferred the company of people with a decade or 3 on me. Their stories are always better. I’ve been characterized many a time as an “old-soul” — a characterization that is frequently undermined by the fact that I still, on most occasions, look like a 16 year old… despite my gray hair. “Where are you going to college next year?” asked a teenage girl in the locker room at fencing practice. And so, it seems, there is no end to this age identity crisis. My parents are children of the Common Wealth — this means, Keep Calm and Carry On is something of a family motto. Indeed, as I grew out of a student into the professional world, I’ve become characterized by a cool-under-pressure, feathers-never-get-ruffled demeanor. “The whole building could be burning down and you’d just be chugging along, with a smile on your face, telling everyone everything is going to be fine,” a friend said to after he witnessed the crises of miss-printed labels, wine shortages, hidden-ladders-becoming-unhidden, and the myriad of other assorted exhibition opening night calamities that I quietly wade through. I think I was flattered at the time, but then I realized, sometimes being known as the girl who keeps calm and carries on can get you into trouble. When the metaphorical building is burning, you’re always the first sent into battle the blaze. Alternatively, when all of a sudden you don’t look so calm, the people around you start to panic. Sisyphus and his uphill battle, but one must imagine him happy… he owns that rock. I confess — as far as my life is concerned, things have gotten crazy busy. Working weekends, travel, exhibition installations, committee meetings, public lectures, holiday craft markets, exhibition openings, de-installations — all things that need organizing and completing. Indeed, the stretch between now and the end of January is the relentless, burdensome push of a boulder uphill. About two weeks ago, somewhere in the early stages of my stretch of craziness, I walked into work on Monday morning carrying a bouquet of my favorite flowers. My eyes were puffy with fatigue and my skin chalk white and my boss immediately commented on my pallid complexion. Then she saw the flowers. A few hours later, she called me into her office. I think I probably started to well up at that moment. It wasn’t that I was upset about the break-up, quite the contrary — there’s no way anyone witnessing the evening would have believed the two people sitting across the table from each other were ending a romantic affair, it was that congenial. No, the tears started to build because, frankly, I felt overwhelmed. And the last thing I needed was to be asked if I was okay. I just needed things to get done. I walked out of my boss’ office feeling very much like a duck. “I’m going to get those exhibiting artist emails off now,” I said and walked back to my desk, feet paddling like the dickens to stay afloat. About a month ago, my closest male friend from college married the woman that became his better half. They’re a lovely couple, best friends really. They’re also both smart, funny, and driven career people. I admire them. Cut to the buffet spread in an upper crust Westchester suburban yacht club. 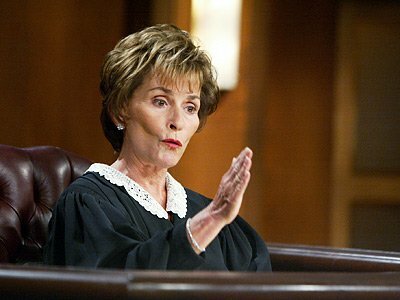 Enter Judge Judy Sheindlin. Yea, that’s right. THE Judge Judy. I was at the Her Honor Mentoring 2012 kick-off luncheon. I had just re-met my mentee, a 17-year-old high school senior with a passion for all things art and aspirations to travel in adulthood. My fellow Mentors were the county’s leading businesswomen and government leaders. What was I doing there? In my day, you only left the house in either a white dress or a pine box. But I’m telling you that you don’t have to get married as a high school senior. Or as a freshman. Or as a sophomore or junior. Maybe, by the time you’re a senior you can start to look around to see if there’s anyone you find appealing. But just remember: you may have your act together when you’re 22, but they, well, they may not have their act together at 55. It was a message I was surprised Judge Judy would share with a room full of college seniors yet to make their way and professional women who had all pursued unique paths in their lifetime. On the subject of “having it all,” it was surprisingly pragmatic. As I chuckled and applauded (I was the soul “ain’t that the truth, sister!” shouter in the room), it occurred to me that I was the youngest mentor. Unlike the other “dynamic,” successful career women in the room, I was really just starting out. My mother married my father when she was 17 and he was 21. Two weeks ago they celebrated their 51st wedding anniversary. If you do the math, that means they were married some 24 years before I was born. Over that quarter century, my mother made a career for herself, allowing her to retire as a top banking executive when I was starting high school. Since the Atlantic article came out, there seems to have been another resurgence of feminist talk — or maybe it’s more of another re-evaluation of feminism. Did you catch this Sunday NYTime’s Opinion piece by Alissa Quart? The one about women hiding their pregnancies in the professional world? What about the brief speech by a new character on the Good Wife? What about that other op-ed piece about the “Myth of Masculine Decline” in the work place? I guess I never questioned the idea of “having it all.” I grew up with Judge Judy’s advice as my own game plan because it was a successful path I had watched unfold. But then my own life began to happen. I don’t have an answer for my Californian friend. Or for any young woman in our position. Frankly, no one really does. The women of our generation are lucky because we have choices. We can choose to be career women. We can choose to be career mothers. We can choose to be both careerwomen and mothers. None of the above paths are easy — none are achieved without sacrificing or without negotiations. As for me, well, the question of “having it all” isn’t as relevant now as it will be later. But I will say Nicole Sheindlin’s words from that luncheon have stayed with me. A career is a woman’s insurance policy for independence and self-confidence.